In our media centric world today, getting a good quality interview on a breaking news story with someone on the move can be difficult. If your subject carries a smartphone, here’s a trick that enables an interview of excellent quality from virtually anywhere. First, ask your subject if they have an Apple iPhone, iPad or iPod Touch. The reason is all these devices have a very good sounding built-in microphone. If they do, the phone or tablet can be easily turned into a studio-quality recording device that allows interviews to be done on the spot. This avoids the reporter having to coordinate with the subject for a meet up. Ask the interviewee to use another phone — either a landline or cell phone — for the actual interview. They will simultaneously record their answers to the reporter’s questions on the iOS device, using a free Apple-supplied recording application already on many devices. When the interview is finished, the subject emails, uses Dropbox or otherwise shares the raw interview with the reporter, who will edit it for air or posting online. With the iPhone and iPod Touch, the easiest way to do this is with the built-in Apple VoiceMemo app, which is often hidden in a Utilities folder. It is very simple to use. Just hit record, watch the level and speak a few inches away from the iOS device. The sound will be excellent. The iPad and iPad Mini aren’t equipped with VoiceMemo, but there are some cheap or free apps that do the same thing. One app, Voice Recorder HD, is intuitive and easy to explain to anyone. The reporter can even email the subject a link to the app, so it shows up in their inbox, ready to download. 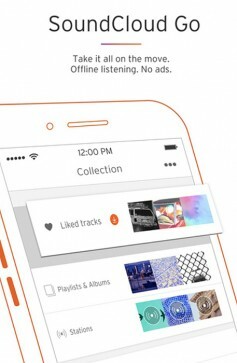 If an interviewee already has a SoundCloud account, or has a few minutes to set one up, he or she can download the free iPhone or iPad SoundCloud app. With two or three swipes, the interviewee can record and share the audio file with the reporter. Many public figures who want to be interviewed, especially in Washington, D.C., already have these apps configured on their phones and are familiar with their use. 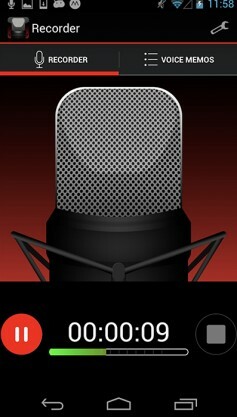 With others, the reporter can explain that the app makes the subject sound better on the air and are a benefit to use. Usually the subject gets it and cooperates. Of course, Android phones can also be used, but the microphones and sound processing capabilities of the devices vary in quality. Depending on what Android phone or tablet is used, the reporter may or may not get the same studio quality as with Apple devices. The SoundCloud app also works with Android phones if that’s what the interviewee has. Another option is Skype, the voice-over-IP service. The free Skype iPhone and iPad app are easy to use, but requires the reporter to record the conversation on a desktop using audio-editing software. Some news organizations use specific systems. National Public Radio provides interviewees with a link for the Report-IT Live app, which allows the audio to be uploaded to an FTP site. While the process provides excellent quality, it requires a codec on the receiving end, which adds to the cost and complexity of the setup. In any case, as media moves to a variety of almost instant platforms, the need to acquire audio and video quickly from anywhere becomes more essential than ever. This cheap, simple iPhone trick has enhanced the quality of many “phoner” interviews. It might help your interviews as well.